UNIVERSAL CITY, Calif. – July 5, 2013 – “Days Of Our Lives” has completed the second quarter of 2013 with gains versus the year-ago quarter in key ratings categories. For the completed second quarter, "Days Of Our Lives" is up 5 percent in the women 18-49 category (651,000 vs. 618,000), up 10 percent in the women 25-54 demo (826,000 vs. 750,000) and up 4 percent in total viewers (2.7 million vs. 2.6 million). For the quarter, “Days” ranked #5 among network daytime series on ABC, CBS and NBC in women 18-49 with a 1.0 rating, 7 share, and tied for #4 in women 18-34 with a 0.7 rating. The quarter ended with the week of June 24-28, during which "Days Of Our Lives" (0.9 rating, 6 share among women 18-49, 0.5 rating among women 18-34) tied for #5 among network daytime series in the women 18-49 demographic and tied for #6 in the women 18-34 race. For the week versus the same week last year, "Days of our Lives" was up 42 percent in the women 18-34 category (165,000 vs. 116,000), up 30 percent in the women 18-49 demographic (595,000 vs. 456,000), up 34 percent in the women 25-54 race (746,000 vs. 556,000) and up 14 percent in total viewers (2.7 million vs. 2.3 million). 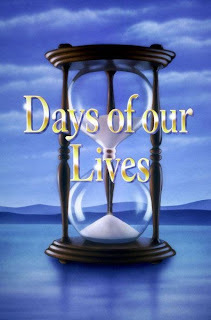 Season to date, "Days of our Lives" is tied for #4 in the women 18-49 category and tied for #3 in the women 18-34 demo. Season to date, “Days” is up 3 percent in total viewers (2.7 million vs. 2.6 million).